Each display window has two measurement cursors that can either be moved freely within the window or that can be locked to the similar signal or to two independent signals. If locked to a signal the measurement cursor will show the exact signal values at the current position and will stay on this signal if moved in either direction. The measurement cursors are available in every kind of display window be it analog display, digital display or FFT display. 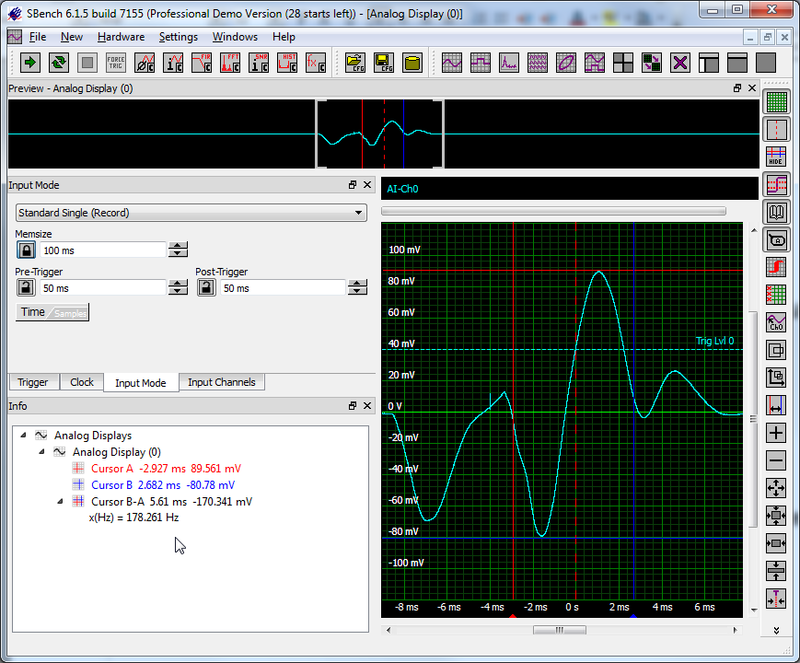 If the input signal is scaled by the user and given a custom unit the measurement cursor will represent that custom scaling and show the basic voltage signals as well as the scaled values with the custom unit. The measurement cursors can be used to define an area for calculations.